The Dogecoin community was buzzing with creativity at this years CoinFest, all in the name of Shiba! The world’s first automated Dogecoin teller machine was also on display at the the digital currency festival in Vancouver. Granted, it’s nothing more than a smartphone stuck to the front of a battered metal briefcase but it’s the taking part that counts. 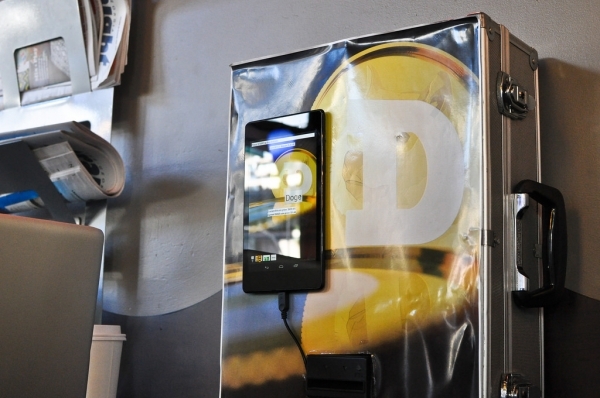 Potential customers can simply scan the QR code, insert their money and boom! Dogecoins will be sent directly to your wallet. Is there anything technical going on inside the briefcase? Rumour has it Shiba herself is in there totting up the money. Is it serious? We don’t think so, there’s no real marketplace for Dogecoin ATM’s, but it just goes to show how much love the community has for Shiba, “To the Moon!”. Although Dogecoin is still seen as a gimmick by many, it’s hot on the heels of Bitcoin with coverage in the worlds media after financially backing the Jamaican Bobsled team who secured last place in the two-man Bobsleigh event at the Sochi 2014 Winter Olympics. Feeling peckish, got a gap to fill or just fancy spending some Bitcoins? Well head on down to BitBurger, the first crypto-currency operated burger stall in East London. Customers can settle their bills with not one, but two cryptocurrencies! 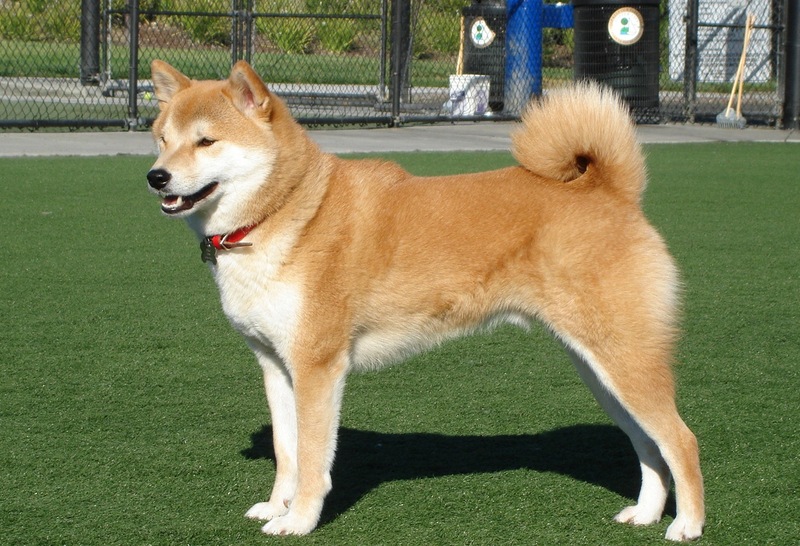 Bitcoin and Dogecoins. 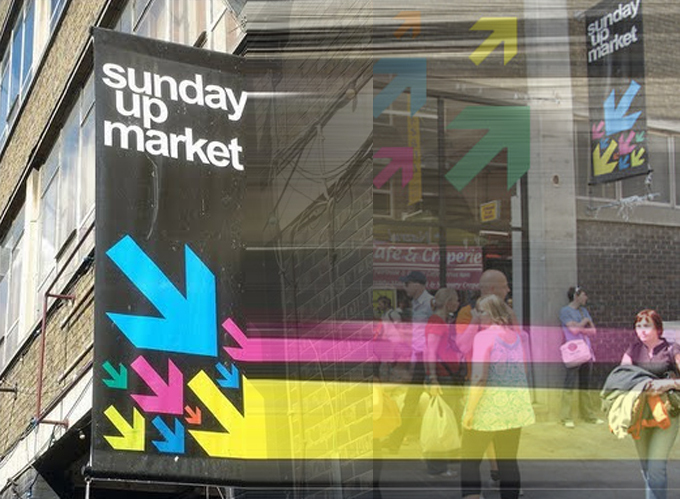 The stall can be found at the “Sunday Up Market” on Brick Lane and is housed in the historic Old Truman Brewery which accommodates over 140 entrepreneurs selling an array of goods from shabby chic clothing to funky accessories and street style food. No doubt there are many benefits for small businesses and especially pop up stalls accepting cryptocurrencies. The on-going cost of renting chip and pin machines coupled with transactions fees are simply not feasible for startups. Customers can pay for goods using a secure digital wallet located on their smartphone by simply scanning the QR code. 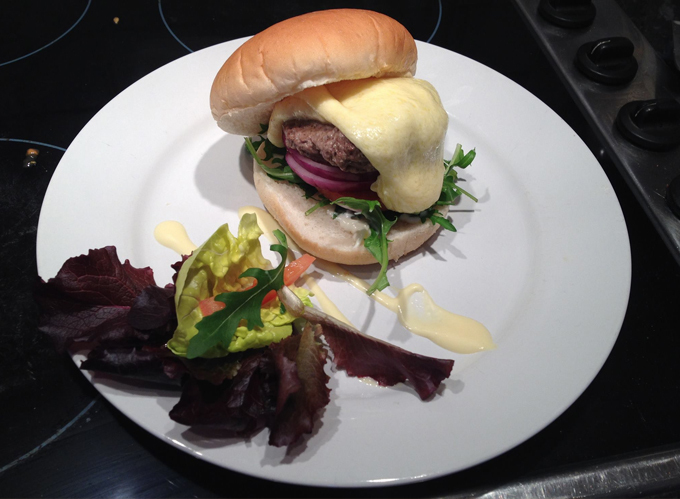 BitBurger will be feeding hungry punters from the 2nd – 9th of February every Sunday!. 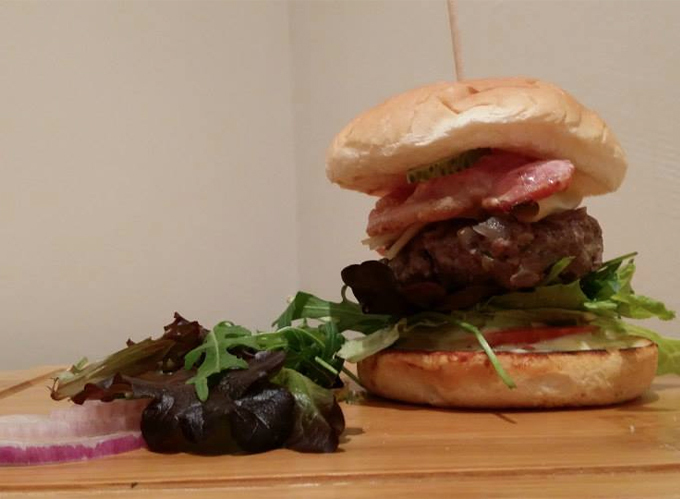 How does a bourbon steamed burger with crispy rosemary salted wedges sound? Fantastic? Well head on down to “Sunday Up Market” and support independent food entrepreneurs.